I did my fair share of complaining this weekend, what with an overwhelming tourist invasion and the Giants’ losses to the Cincinnati Reds. But truth be told, it was a great weekend in San Francisco… largely because it was Fleet Week. I love Fleet Week. LOVE IT. I adore the sailors, who walk around this beautiful city every October with wide-eyed awe and excitement. But, when did these guys get so… young? 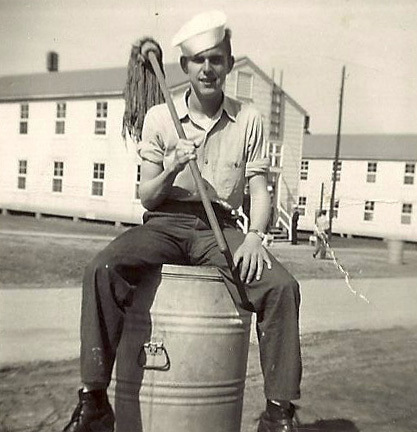 My beloved Dad joined the Navy after high school, with his eyes on the GI Bill prize like so many young men in his day. That’s another reason I’m a softy for Fleet Week guys in uniform. Most importantly, Fleet Week means the Blue Angels. And what’s NOT to love about the Blue Angels? I challenge anyone on earth to watch these artists perform, without gasping and smiling, and mumbling “that’s unbelievable” at least twice. I suspect the Blue Angels kind of like me too. After all, they buzz my building in Russian Hill every year. That has to count for something, right?